Whilst this blog normally features new music, we are also here to promote music discovery. 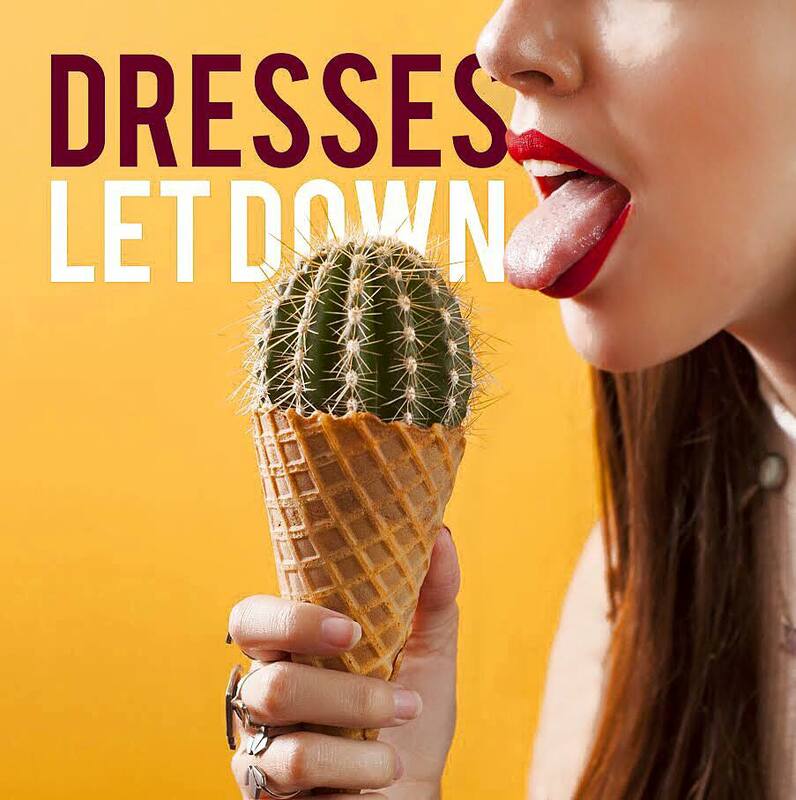 When researching last week's Youth Club post, I stumbled across an indie pop male/female duo named Dresses' EP 'Let Down'. Having listened to a couple of songs on the EP, I thought it'd be good to share with you all (even if it was released in 2015). It appears as though the US duo haven't been active on social media for a while but I hope you enjoy this little slice of summer pop. The two way street emphasises how both people in a relationship need to talk and try to understand eachother - it's not one way communication. However, it is the final line of the chorus that is very bold and resonates emotion implying the question; will you be there for me when I need you? Following on from 'Catch' is the equally as catchy and bright track 'Drift Away'. In contrast from 'Catch', 'Drift Away' begins with a solo guitar that builds up from a simple strum to more intricate patterns. The cheerful claps are replaced temporarily with slightly stronger drum beats but the duo's signature harmonies remain. As the title would suggest, my interpretation of 'Drift Away' is that it is about two people separating from each other due to a lack of understanding of the others' feelings. Suddenly the EP takes a darker toned turn with 'I Don't Believe Them'. Drum beats become more intense and purposeful, almost like a march, while the synths and guitars that are often used as a bright pick up have become more mysterious in tone. Skipping over the anomaly that is 'I Don't Believe Them', the brighter tone returns in title track 'Let Down'. With similar instrumentation and ''sway your arms'' vibe to the first two tracks on the EP, 'Let Down' tells the tale of perseverance, trying to make a relationship work - ultimately failing but happy in the knowledge the narrator tried. Next up is 'Frozen' (not featuring any mention of building any snowmen). This track has a slightly different feel to the rest of the EP as more of a ballad than pop song. Featuring layered vocals as well as the return of purposeful drum beats and the odd cymbal crash promotes a powerful sound throughout. Starting with quick guitar licks and the return of whistles, 'Fools' is the ultimate summer song with a bright, upbeat tone and xylophone inserts. Unexpectedly, the chorus of 'Fools' is perhaps more mellow than the tracks that precede it - perfect for driving along to in the summer sun. After listening to the 'Let Down' EP it is clear that Dresses are incredibly talented as they manage to make you smile and tap your feet along to heartbreak. Combining cheerful hooks and bright tones with personal, thought provoking lyrics has allowed Dresses to create a fun, summer sounding EP that we thoroughly enjoyed listening to. LISTEN to the 'Let Down' EP on Spotify here.